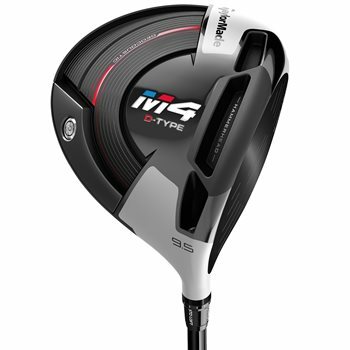 The TaylorMade M4 D-Type driver combines Twist Face technology with a new Hammerhead Slot and Geocoustic sole design for straight distance and a large sweet spot. Twist Face is engineered to reduce side spin and deliver straighter shots as well as provide more loft in the high-toe and less loft in the low-heel to produce more consistent spin where golfers commonly miss-hit. The Hammerhead Slot provides a larger sweet spot and increased ball speed low on the face and drops unwanted spin for more distance. Geocoustic technology reduces sole volume and enables a larger, more forgiving face while the Draw-Biased Design makes the face angle appear more open for a more closed face at impact. Review by pa, 25 days ago. The D type has more weight toward the heel of the club creating draw bias. It is great for someone trying to lessen or eliminate a slice.